Congratulations to all our students who competed in the semi-final of the E.T. B. Talent Search which was held in Borrisokane Community College on the 14th of December. Lauren Choppin and Abigail Wright 2nd year, both represented Coláiste Phobal Ros Cré in the junior category of the competition. Lauren gave a beautiful performance of the song ‘Faded’ and Abigail gave a haunting performance of the song ‘Rise Up’. 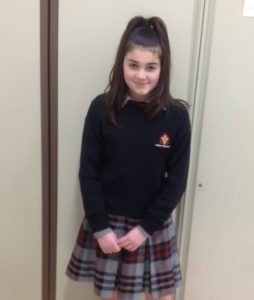 The competition was of a very high standard and Abigail was the solo act chosen on the day to compete in the county final which will be held in January. In the senior category our traditional music group gave an excellent performance and were chosen to go on to compete in the county final. 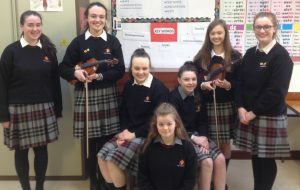 The members of the group are; Orlaith Cleary, Kelly Feehan, Caoimhe Flannery, Áine Gleeson, Eimear Gleeson, Teresa Maher, Katie Scully. 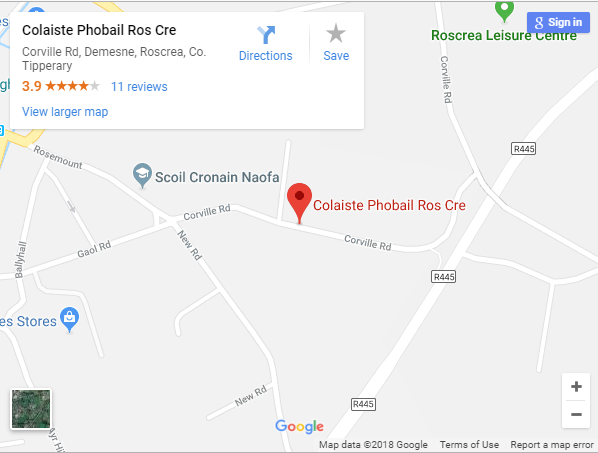 Well done to all competitors, you all did Coláiste Phobal Ros Cré proud. 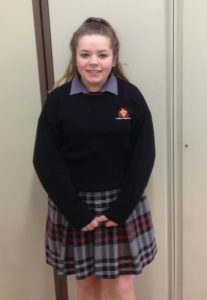 The students in Father Lorcan’s R.E. classes decided to send some Christmas cheer and goodwill. 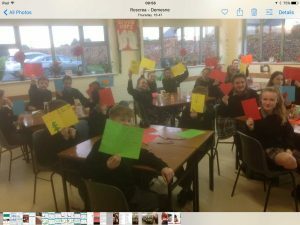 Over the last few weeks they made 220 Christmas cards, these 220 cards were sent to the children’s ward in Tullamore Hospital, Crumlin Children’s Hospital, Temple Street Hospital, Milford Hospice, Mount Carmel Nursing Home, The Dean Maxwell Nursing Home, the Midland’s Simon Community and Pieta House Roscrea. What was beautiful about the cards was that on the inside of each card was a message of hope, personally written by each student. The students hope that their idea will inspire you to reach out to someone in need this Christmas.